LuLu Belle, the cutest little lady bug. 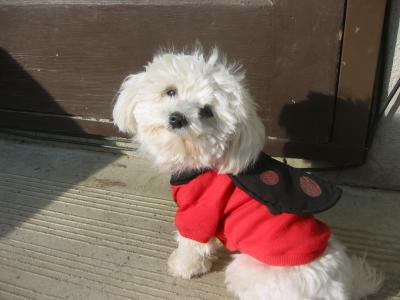 LuLu is a tiny Maltese and suits being a little lady bug. All the kids on Halloween night adored her and she made lots of friends in her cute dog Halloween costume. She looks like she enjoyed wearing the costume too! :) what a lovely dog. Join in and write your own page! It's easy to do. How? 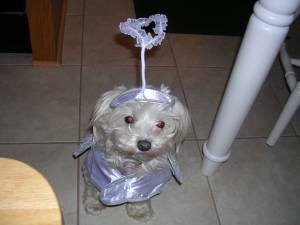 Simply click here to return to Maltese Dogs Halloween Costumes. 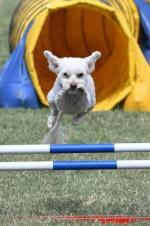 Our "Lily" is a 2 year old 6 1/2 lb Malshi (Maltese Shih Tzu) dog. My boyfriend & I took our granddaughter, Martina, out to look for a dog Halloween costume with Lily. We spent alot of time trying on many things when we came across the pirate like dress. My boyfriend, her daddy found the hat and Pretty "Lily" Pirate was born. Lily lets us put on dresses, shirts, jackets and never complains. We got her costume at Petsmart. 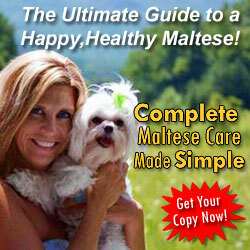 We would absolutely recommend this Halloween pet costume to other Maltese dog lovers. Love this picture. Your dog is beautiful. 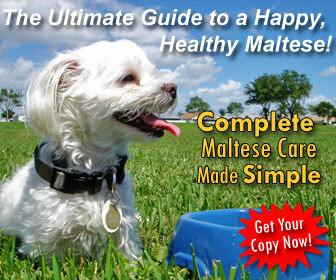 I have 3 Malties whom I lovingly refer to as The Maltese Mafia. They are all precious and I have to say this Maltie baby gives them a run for their money. What a precious baby pirate. Malties Rule! Lily is adorable...such a little Lady. OMG! She is so ADORABLE! Good Luck Lily..
Lil Lily is just the sweetest pirate around....Good luck lil lily!!!!! Lily looks like a little stuffed animal here...she is so sweet, and I can't believe she stood so still! You are the most precious little pirate in the whole wide world! Aunt Coleen loves you!! I Love your costume. You are the prettiest. Ahoy Lily, You rock the pirate ship. Best of Luck1!! OMG! How ADORABLE... She is the absolute cutest.. Good Luck to Lily.. YOu should be the winner!!!! Lily is the cutest little Pirate that I've ever seen. 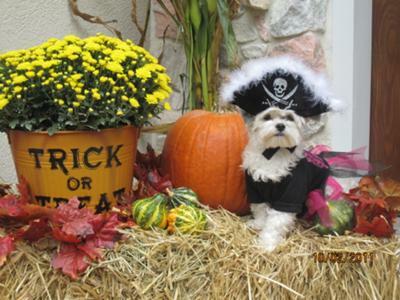 OMG this doggie is my pick Pretty Lily Pirate is the cutest doggie I have ever seen! I used a witch as my pet dog costumes. This is Baylee, my 9 week old Maltese Chihuahua mix. She has the most loving personality. She is great with my daughters 9 and 5 and with our 90lb black lab. She recently went camping with us and was the highlight of the weekend. 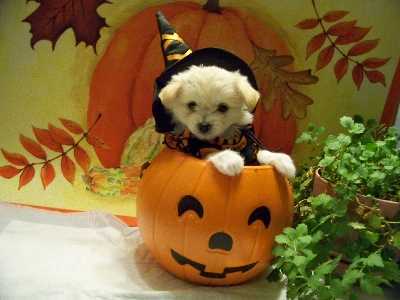 This dog costume picture was taken by the breeder and was the picture that I fell in love with online!!! Two Paws UP! for halloween costumes!! 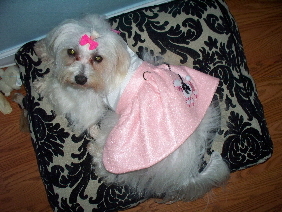 Lacy is one of my 6 Maltese, she is wearing a poodle skirt dog costume that I made. It is pink with black and white detailing. She loves to get dressed up because she knows that means we're going for a ride. 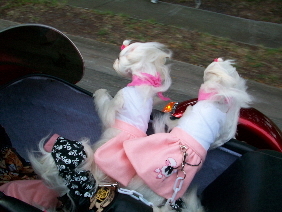 I made the poodle skirt, I actually make all of the clothes that my Maltese wear. Where did you find that darling poodle skirt? Did you make it? My Mal-shu loves to get dressed up as well. She is totally a different dog when in a lovely dress. In fact, she has more clothes than I do. Do tell where you got that cute outfit! 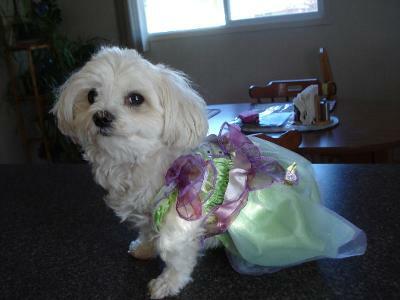 LuLu is a little girl Maltese and loves to be Tinkerbell. She goes to neighbour's houses and gets treats. The kids who come to the dog, love to see her in her cute dog costume and fuss all over her. LuLu Belle loves halloween. 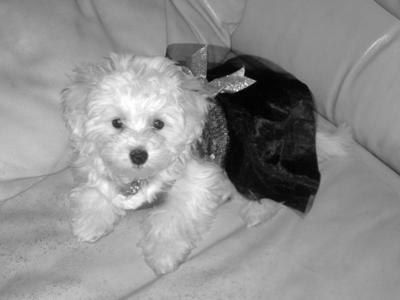 This elegant Maltese princess dress is absolutely beautiful on Ruby. The red white and gold dress really complimented her white hair. 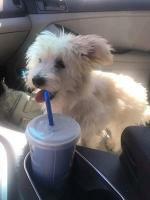 She is a 9 week old Maltese puppy in this photo and she weighs about 4 pounds. She was so cute prancing around the house with this on, and her brother Shadow (a Cockapoo) also wore a matching tuxedo. My dog Marley get's dressed up every year for Halloween. She has been a wizard, an angel, and a sunflower. The prettiest and funniest was the angel dog costume. It was perfect because Marley is such an angel. The little halo on her head didn't stay there for too long, but she loved wearing the white dress around. She got alot of attention from everyone. 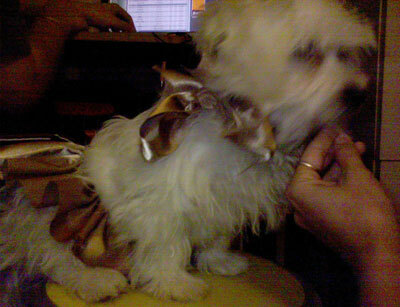 I would recommend someone with a small dog to get a costume that your dog is comfortable moving around it. Be aware that hats are hard to keep on little dogs. You may get in a few good pictures, but they'll usually want to take it off as quickly as possible. I think this is a great costume, and you look so very sweet, and cute ! 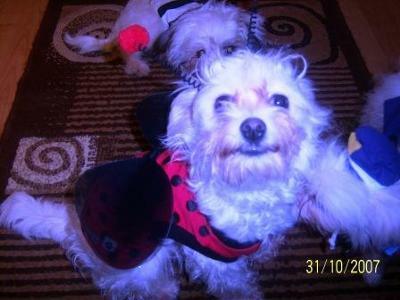 Holly was a lady bug last year for Halloween :) As you can see from the smile on her face, she loves getting dresses up! The costume was made for Halloween, when we went to a party to my friend´s house.